Every Meraki hardware component requires a cloud license to be managed. Meraki devices use the Meraki cloud for centralized management and control. 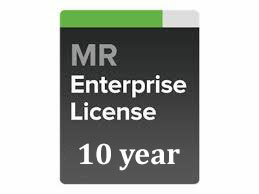 The Meraki cloud is licensed on a “per device, per year” basis. Each organization is licensed for a certain number of devices through a termination date. Licenses are sold separately from the hardware. For example, you could upgrade from the MR16 to the MR24 without buying new licenses. The same will apply for new products that are released in the future.